Nepal is a traveller’s dream; wedged between Bollywood and Beijing, it combines exciting characteristics from two of the world’s largest superpowers whilst still retaining it’s own unique allure. Though its land area is smaller than England and Wales, Nepal features an incredible range of geographic landscapes; from snow-capped mountains in the north (including eight of the world’s ten tallest mountains), to scorching desert plains in the south and steamy jungles in between. Scattered amongst this variable terrain, the locals are universally charming and provide a warm welcome that seems to follow you around the country. Healthcare provision in Nepal is from both government and private institutions. The government strand is obliged to provide basic medical services to the entire population and so operates primarily via community health posts, with complex cases being referred on to district and regional hospitals. Rural health posts are free to access; secondary and tertiary hospitals require payment from patients, though this is significantly subsidised by the government. The private strand operates predominantly in larger settlements and healthcare outlets range in size from street-side pharmacies/clinics to large university teaching hospitals. Patients must pay upfront to use these services, and fees are generally much higher than in an equivalent government establishment. 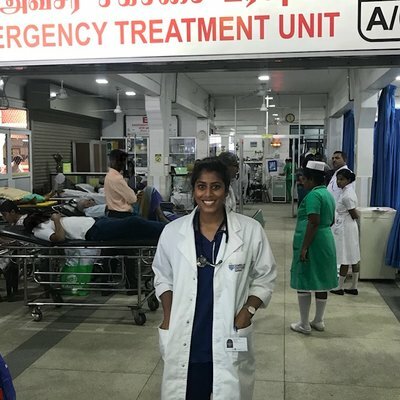 I chose to arrange my seven week elective with Work The World as they provided the most efficient way of sampling the variety of healthcare environments that Nepal had to offer. Administration before, during and after the placement was very smooth and prices were reasonable. My first three weeks were in the intensive care unit (ICU) at a large private teaching hospital in Pokhara, Nepal’s second city. Based in a grand, almost palatial building on the north face of a beautiful valley, the seven story building with it’s cavernous lobby belies the true nature of the treatment on offer. As with healthcare establishments in many developing countries, technology and machinery were limited; the only features that distinguish the twelve bed ICU from a standard ward were the presence of cardiac monitors and the smell of disinfectant. Nevertheless the caseload I observed was interesting and varied, featuring both familiar and unfamiliar problems. To me perhaps most novel were the numerous cases of organophosphate poisoning, which typically arose following failed suicide attempts. The treatment, high dose atropine, often induced severe psychosis, to the extent that the nursing staff were forced to tie these patients to their beds to prevent them harming themselves or others; though this did nothing to stop their confused screams and wails echoing through the hospital’s lofty hallways. It was here in ICU that I had my most memorable elective experience. A seventy-six year old gentleman who had been admitted two days previously with a urinary tract infection complicated by numerous co-morbidities (including type II diabetes mellitus and hypertension) suddenly went into ventricular fibrillation. As a cacophony of alarms sounded from the ageing cardiac monitor, two interns and I rushed to the patient’s bedside to assess the situation. In seconds it was evident that CPR & defibrillation would be required, so the larger of the two interns pounced onto the bed and started a variable ratio of crushing chest compressions and merciless mouth-to-mouth breaths, whilst the other ran to fetch a dusty defibrillator. With paddles gelled and a Hollywood cry of “Clear!” a powerful shock was delivered to the patient’s bare chest, and almost instantaneously a broad complexed but regular ventricular heart rhythm reappeared on the cardiac monitor screen. I was amazed - I’d never witnessed CPR before, let alone CPR on a patient attached to monitoring systems that clearly showed the unusual electrical activities as they were happening. My amazement was interrupted by another chorus of alarms; in front of my very eyes the regular ventricular rhythm descended back into chaotic ventricular fibrillation. Several such cycles of restoration and relapse passed before the ICU resident appeared wheeling a large ventilation machine, directing the interns to intubate. Weeks four to six were spent in the emergency department at Pokhara’s main government hospital. Though technically one of Nepal’s larger centres, the hospital is very much a‘third world’ institution, with stains on the walls and floor. However, what it lacks in grandeur it makes up for in footfall; it’s central location and cheap fees draw in a steady stream of patients. Approximately half of those that I saw presented with abdominal pain +/- vomiting +/- diarrhoea, the majority of whom were briskly despatched home by gruff junior doctors. The remainder featured a range of cases from the routine to the bizarre to the life-threatening; common problems (e.g. acute exacerbation of COPD, chest pain) were often interspersed with oddities such as snake bikes, and occasionally emergencies such as full blown eclampsia. My final week was spent doing something quite different. Leaving hospital medicine and urban Nepal behind, I joined a community health post in the small hillside village of Nalma. Beautifully hidden away in the foothills of the Himalayas, Nalma is only accessible by a six hour uphill trek through fields, jungles and occasionally small waterfalls (which appear out of nowhere following the monsoon rains). 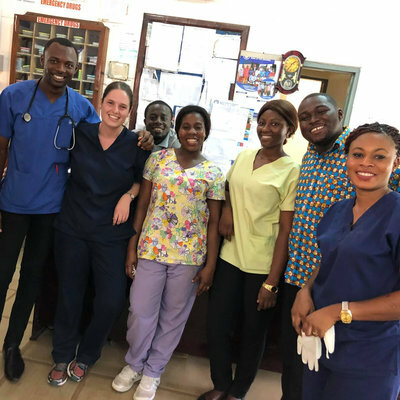 The health post, one of three thousand scattered across the country, provides primary care to approximately two thousand village members, the majority of whom work in agriculture. Normally it is manned by one of two individuals from the community who, although lacking in any formal medical qualifications, have over fifteen years of experience each. For the most part I felt their clinical reasoning was sound, though once or twice I did disagree about the requirement for antibiotics. Regardless, the scope of treatment is limited anyway; the government routinely supplies only twenty-five different types of medication, thus antibiotics are restricted to amoxicillin, metronidazole and co-trimoxazole whilst paracetamol is the only available pain relief. Patients with more severe conditions cannot be managed adequately with the equipment available and so are advised to make the six hour journey to the nearest town, Besisahar. However they are often reluctant to comply, citing the agricultural workload as a reason to not travel. Clearly this can be detrimental to their own health; a young lady, approximately six months pregnant, attended the health post with antenatal bleeding and was advised to go for further investigation. She ignored the recommendation and unfortunately collapsed the following day; ultimately it took eight men from the village to carry her down the hillside on a stretcher. 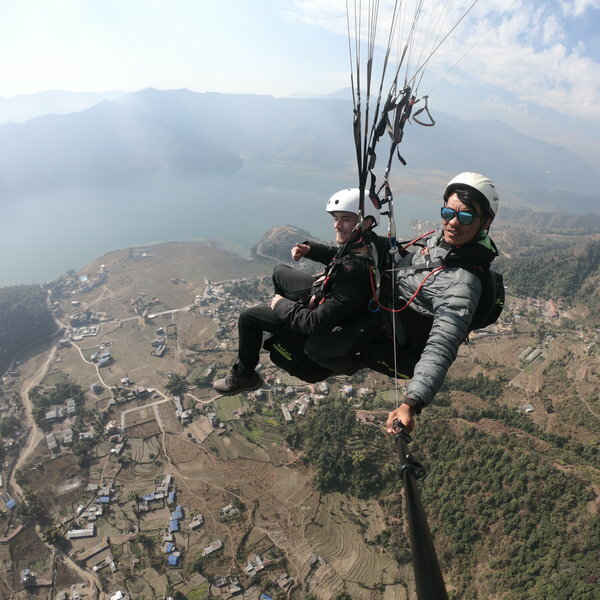 Nepal provides some fabulous clinical opportunities for the prospective medical student, but it also offers an array of amazing non-clinical experiences to add a touch of excitement to one’s ‘downtime’. During my seven weeks I was fortunate enough to engage in some spectacular activities, which included: a thrilling weekend of white-water rafting down the Trisuli River; a majestic elephant-backed safari at Chitwan National Park; spiritual meditation with the Buddhist monks at the Tibetan refugee settlement at Tashi Palkhel; questionable dancing with Tharu dancers in a traditional cultural show in Sauraha; breathtaking airborne views of Lake Phewa whilst paragliding off Sarangkot Ridge; an enlightening pilgrimage to Lumbini, the birthplace of Buddha; and teaching English to delightfully cheeky pre-school children in the village of Nalma. To name just a few. All in all, Nepal is a fabulous country with incredible medical opportunities, wonderful culture and truly amazing people. I look back on my time there as the best seven weeks of my life.